I tried in vain to explain where we were going for half term to my children. Every time I said we were "going to Amsterdam, the capital of the Netherlands" one or other of them honestly thought we were going to Neverland. This happened several times. I hope the lack of fairies didn't disappoint. We flew from Leeds Bradford airport and due to my usual over planning arrived way too early and had lots of time to kill. Better than being late though I suppose. Although I'm not often late so I wouldn't know. Phoebe asked if you have to wear the same clothes as you did in your passport photo. I liked that idea. The trip was unremarkable. Phoebe had slept in the car. The girls loved the aeroplane despite not being able to see anything as it was dark. I did not love the pain in my ears. On arrival we realised that everyone speaks pretty much perfect English. Which believe me makes life a lot easier, especially when you are trying to get a family to a hotel by train then tram and don't know what you are doing. 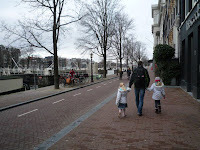 We were staying in the Amstel Zicht Hotel. 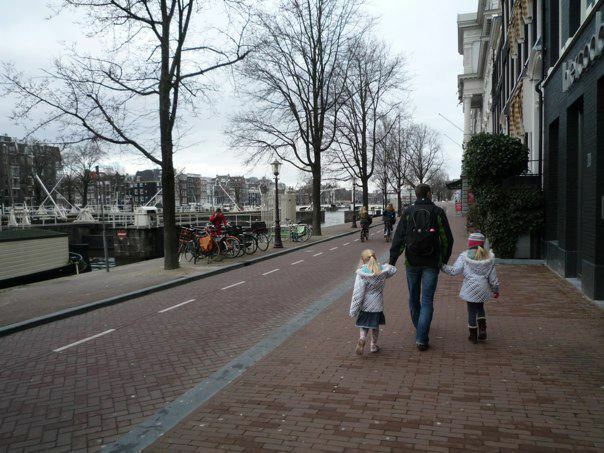 Well actually we were in an annex and the "zicht" of the "Amstel" was pretty much irrelevant. The entrance to the hotel is beautiful - chandeliers, shiny granite, friendly receptionists. The "quadroom" on the other hand is like another building. Well it is another building. Accessed from a strange old archway and door and bang opposite the back room of an Irish bar. The "zicht" of the wall isn't the best but we didn't look out of the window much so it didn't really matter. Our room was functional. 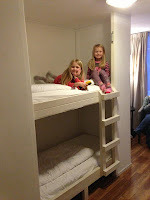 One room with a double bed, a bathroom and another room with bunk beds (the top one scarily without a rail), a TV, some chairs and a fridge, safe and worktop. It was absolutely fine, but that's about as far as I'll go on the review front. It served our purpose. 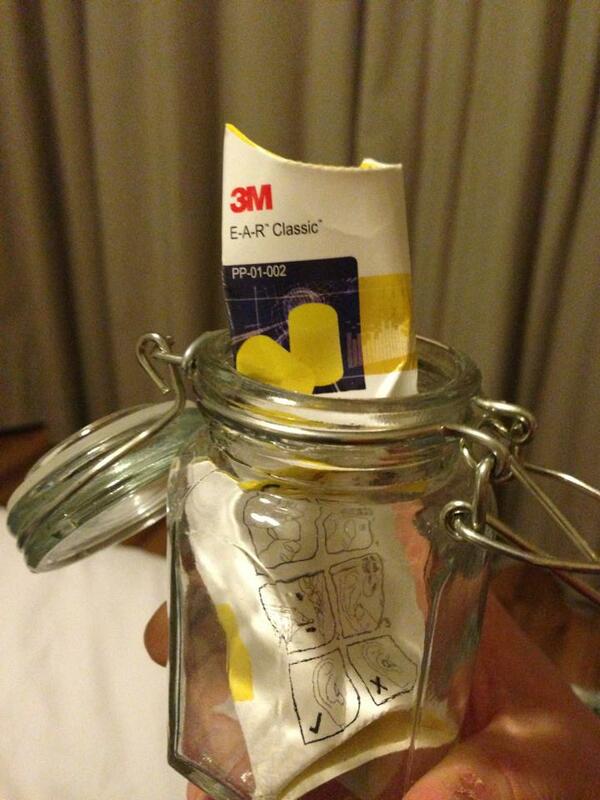 We were concerned about the noise from the pub, especially since we spotted a complimentary jar of ear plugs. I kid you not. Fortunately 'Outlaw Express' weren't on until Thursday. The girls were exhausted. Tilly said that she was sure the word "weary" was the best one for describing how she felt, even though she didn't know what it meant. I concurred. Sleep went ok. I woke quite a bit, my brain obviously expecting Celtic music any minute. But ultimately it was a success. We were there and had managed to not lose children or luggage in transit. A good start.